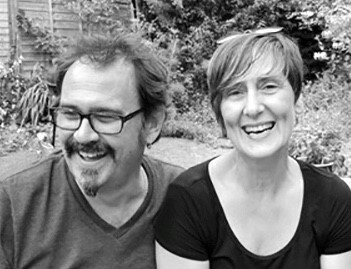 Angus and Louisa Ferguson are co-founders, co-conspirators, and co-pilots of Dancing Sky Theatre in Meacham, SK. 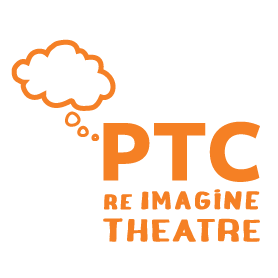 PACT asked them to share their experiences here on our blog as we approach this year’s World Theatre Day celebrations. Well, it has to do with priorities. In between the cities of this vast country of ours lies a patchwork of innumerable landscapes dotted by smaller communities, little towns and villages. Most Canadians encounter these places when they fly over them, or drive through them on the way to somewhere else. They can be easy to forget. They are rarely represented or celebrated in the stories we hear day in and day out. We live in a world where film, television, advertising and social media inundate our society with urban realities. This is not peculiar; the majority of the Canadian population now lives in urban centres, yet the rural experience still exists and has stories of its own. When, fed up with the “business” of theatre, you uproot yourself from your life and “go west young man,” in search of a simpler, more down-to-earth vision of the communal act of theatre, it is not strange to end up here, where stories are still used as currency. A good tale is the best way to answer a question, a well-placed anecdote can win you an argument, and acceptance is the result of a story well told. Rural Saskatchewan is a place where the act of theatre, though rare, is a natural, real-time unfolding of community. There is nothing more powerful than to watch an audience, at long last, see itself reflected on the stage. In the 25 years that Dancing Sky has made its home in the village of Meacham, Saskatchewan, our journey as theatre artists has grown immeasurably. Through open curiosity and carefully listening to our rural audience, we have come to understand their culture, and we have come to value the collective experience of creating work that speaks directly to the people that surround us. There is nothing more powerful than to watch an audience, at long last, see itself reflected on the stage. It’s addictive and exhilarating. In rural life, the landscape affects everything. Even the name of our theatre reflects its presence. Weather, distance and isolation are continuing characters in our narrative. The uninterrupted prairie perspective, so often misread by outsiders, artlessly draws our attention to the intricate fabric of the place and all its peoples. Consequently, the Indigenous voice has affected our work. We learned that the permission to share stories was earned. The province of Saskatchewan is fortunate to have produced many talented Indigenous artists. Dancing Sky started working with them because of their talent and skill. We were practicing colour-blind casting before we were even aware of what it was. There were many discoveries here too. We learned that in order to be included in Indigenous work, we and they had to have patience. It wasn’t as simple as just opening doors. We learned that the permission to share stories was earned. The friendships and trust that allowed such a gift took a long time to cultivate. It has taken Dancing Sky more than 2 decades, so far, of dialogue, sharing of skills and unwavering commitment to be lucky enough to participate in the richness of the Indigenous theatre culture of Saskatchewan. Looking ahead, Dancing Sky Theatre is beginning to explore how our unique perspective fits into the national conversation. How do we, distinctiveness and all, begin to forge relationships with the rest of our country? We look forward to the coming discussions. We love hearing stories from our membership. Have something you’d like to write for the PACT blog? Pitch us your idea at info@pact.ca.